"If you have an interest in horses this is the place for you." Redwings Oxhill is home to almost 90 rescued horses, ponies and donkeys, including the most friendly group of cobs known as "The Breakfast Club" because they’re all named after breakfast items! Our centre’s staff offer regular ‘Walk and Talk’ tours where you can meet residents large and small – from impressive Shire Major (and his equally giant field mates) to mischievous miniature Shetland Wensley – and our café offers tasty refreshments, while the shop has a range of tempting gifts, homewares and souvenirs. Open every Friday, Saturday, Sunday and Monday 10am to 4pm. Closed Tuesdays, Wednesdays and Thursdays. Entry is completely free! 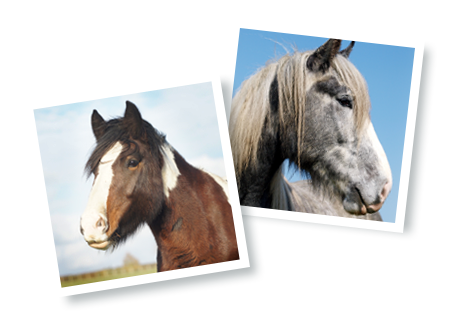 Redwings Oxhill is situated 10 miles south of Stratford upon Avon on the A422 (avoid diverting into Oxhill village). Postcode: CV35 0RP. Check out what's on our menu before you visit by clicking here! Please note, menus are subject to change. The centre is fully accessible to wheelchair users, with a concrete pathway through the middle of the site. There is a wheelchair available for loan. The site has an accessible WC and plenty of parking. Some of our picnic tables are suitable for wheelchairs too. We suggest visitors wear sturdy shoes! View our access statement. We welcome group visits to our centres! Click here to find out more. We also offer tailored educational visits. See our teachers section to find out more.